Coming up with gift ideas for others isn’t something that’s always easy. This is why I’ve put together this list of gift ideas for vegan foodies (or any type of foodie!). I know a little about this topic (OK, I actually know A LOT! 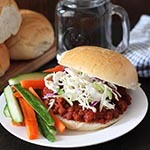 ), so I think most, if not all, of these items will appeal to your friends and loved ones who love to cook. Two other great things about this list? 1) It’s not only good for vegan foodies, it’s great for any food loving home cook you’re shopping for (including yourself!). Who wouldn’t want to receive these things?! 2) You can buy everything from home. There’s no need to go out to the store, all the gift buying can happen right from the comfort of your couch! This post is not sponsored in any way, I’m not being paid to recommend these products to you, they are all items I own and love and have no problem recommending. Now, on to the gift ideas! If you haven’t heard of the Instant Pot, you need to know about it because it’s the hottest, must-have appliance out there right now. This magical pressure cooking machine can do so many things, including cook all of the best stews, soups, side dishes, rice, and even dessert in record time (non vegan and vegan!). The feature that sold me is the yogurt making feature. Store-bought yogurts can be expensive and not taste so great, so here is the chance to make it just the way you like it! If you do buy this for someone, you may also want to also get them a cookbook since there is a learning curve to working with this machine. Check out Vegan Under Pressure, The New Fast Food, and Vegan Pressure Cooking. Learn more about the Instant Pot here. Vegan or not, a spiralizer is a great tool to have in the kitchen. It makes salads more fun and adds creativity and a little more nutrition to dishes that you would usually use pasta for. Learn more about the spiralizer here. After I bought my doughnut pan, (and started baking many, many doughnuts! ), I wondered why it took me so long. I love the USA Pans brand because all of their pans are heavy duty, the non stick coating works perfectly (I’ve never had to grease any of pieces I own), and they are Teflon-free. If you’re looking to buy more than a doughnut pan for yourself or the baker on your list, check out this starter set. Click to learn more about this doughnut pan. I have whipped up many waffles in my kitchen and this is the compact, reliable little waffle maker I have been using for years to get the job done. 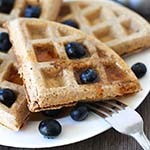 I recommend it in all my waffle recipe posts! If someone on your list loves waffles, this is the perfect gift to give them. Click to learn more about this waffle maker. I have a small, medium, and large scoop and I love them all. The large does double duty for muffin making. Click here to learn more about the cookie scoop. Click here to learn more about this grinder. Click here to learn more about this zester. I owned the same hand blender for over 10 years and when it decided to call it quits, this is the one I replaced it with and it’s pretty amazing. 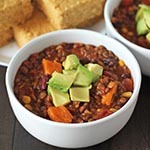 This small appliance is perfect for blending soups to get them smooth and creamy, it’s also great for many other uses. Click to learn more about this hand blender. I have made so many things with my NutriBullet blender (smoothies, sauces, and even almond cheese) and I can’t imagine not having it. It even comes with a milling blade to make flour out of oats and rice. Note that the NutriBullet is considered a high speed blender, but it’s not as powerful as a Vitamix or Blendtec. Click to learn more about the NutriBullet. Click here to learn more about this apron. Click to learn more about Cocomel’s. There is nothing I don’t love about Camino. All of their products are organic, fair trade and high quality. I use their cocoa powder, shredded coconut and so many of their other products in my baking recipes. I also enjoy their chocolate bars! Check out the shopping section of their website to find a store near you or order online. These products are not on Amazon and are only sold in Canada but can also be ordered online. 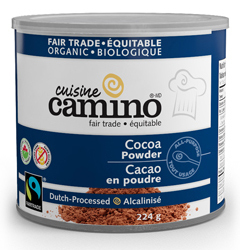 Click here to learn more about Camino baking and cooking products. 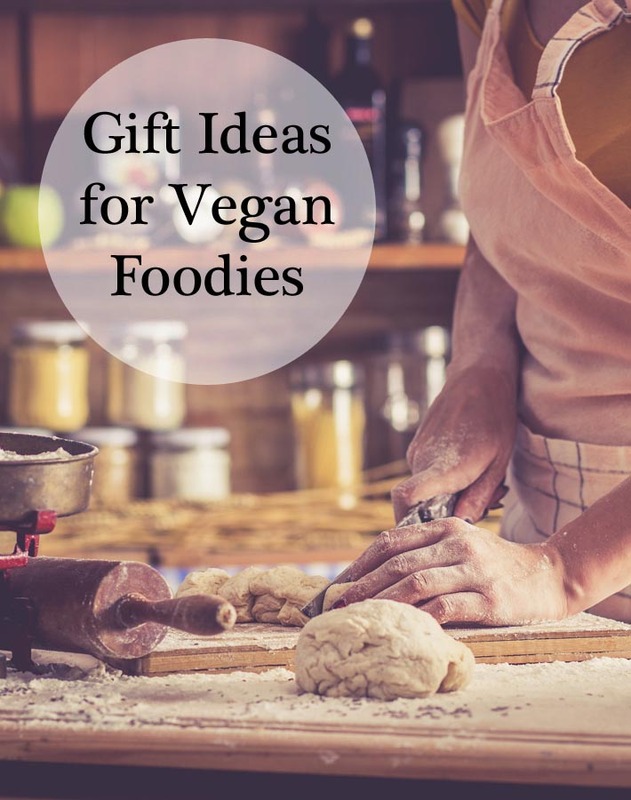 I’ll add to this list of gift ideas for vegan foodies as I find new and worthy things I love. Happy shopping!